Last week I was a guest at the magnificent Houghton Hall, one of the most impressive Palladian houses in Britain. This is a house steeped in history and surprisingly still in the hands of the original descendants of Sir Robert Walpole, the first Prime Minister of Britain. This is historically a house of great art. Sadly the vast Walpole collection was sold off in the 18th century by his descendants. It was purchased by Catherine The Great for £40,000 and now resides at the Hermitage in St Petersburg. The house remains in safe hands with David Cholmondeley, 7th Marquess of Cholmondeley, a filmmaker and his wife Rose a researcher. They share a common interest in art and history and have restored the grand rooms to what they would have looked like in Walpole’s days. In the Summer months, they open the house to the public with a balance of Old Masters and contemporary art on show. 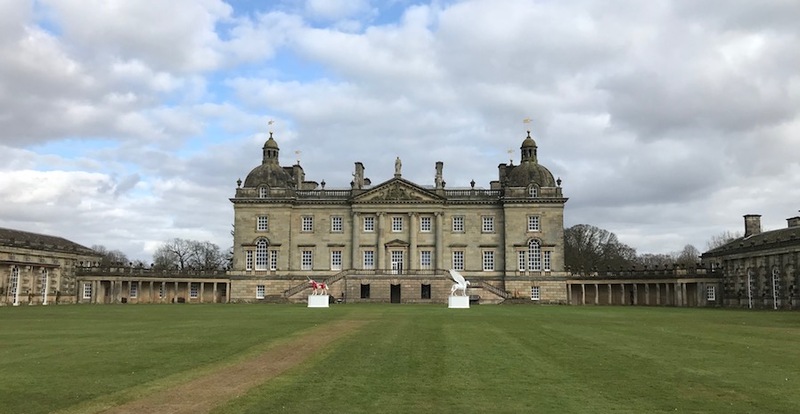 This is the third of what one hopes will be an annual programme of major international Contemporary artists exhibiting at Houghton Hall. Past solo shows have included James Turrell, Richard Long and now Damien Hirst. 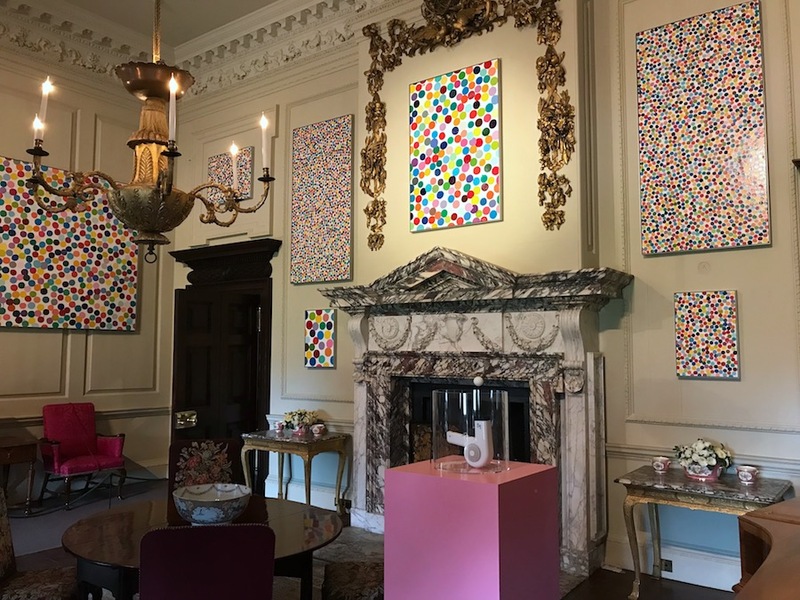 The occasion for this year’s visit was the unveiling of Hirst’s latest exhibition of new paintings and a selection of familiar outdoor sculptures, mostly in bronze, titled ‘Colour Space Paintings and Sculpture’. 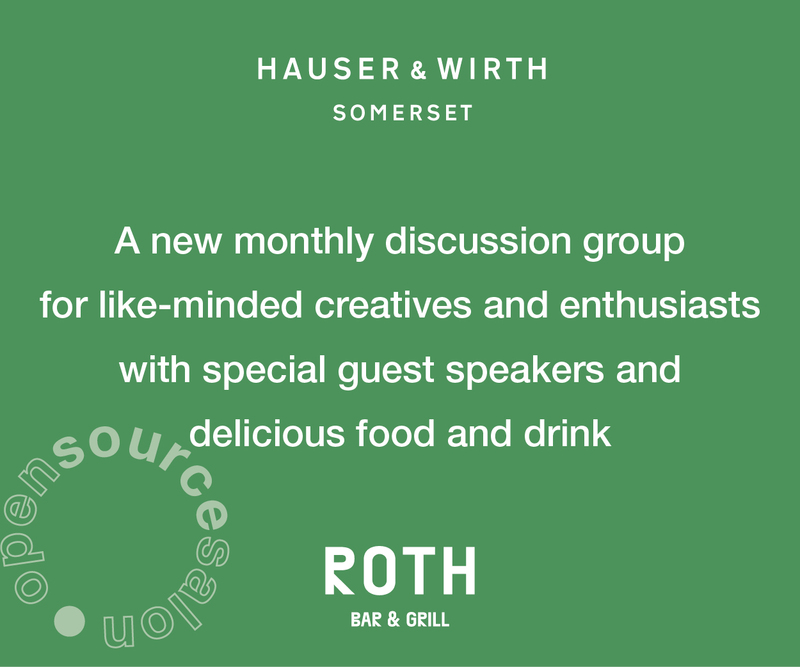 Don’t be put off by the low keyed title: it lives up to the precedence set by past exhibitions at HH. 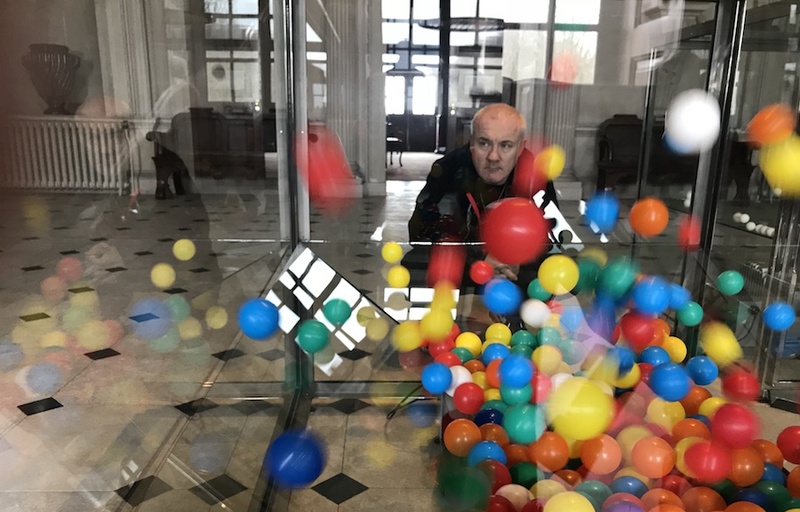 It also consistently follows on from Hirst’s Venice Biennale collateral exhibition, ‘Treasures From The Wreck Of The Unbelievable,’ at Palazzo Grassi and Punta Della Dogana, an exhibition so over the top it would be more aptly compared to a ride at Disneyland than an art exhibition. Houghton Hall with its lavish interior design and detailing slightly overshadows Hirst’s spot paintings, but never the less by having so many installed in the grand rooms they become a focal point competing favourably with the surroundings. Think of the way contemporary art shines in the rooms of grand palaces between the covers of old issues of Architectural Digest and you have the essence of this fine display. Hirst has returned to painting spots loosely onto the canvas. Some are similar to his very first spot paintings with actual physical signs of paint, texture and drips. Others are in a Pointillist style and were likely painted by Hirst himself. The artist makes a rare appearance at the press view but gives very little away. We arrive just in time to see him land in his helicopter. I’m sure this was planned. A strong statement of power in itself. He emerges in a black shell suit with Damien and a marijuana leaf emblazoned in red on the jacket, like a 1990’s coat of arms. I have seen Hirst on two or three occasions over the years, and he is usually not very press friendly. Today Hirst is open and warm, smiling and joking. He poses for endless pictures, many for the local Norfolk papers. He also speaks to local Norwich Radio, sadly minus Alan Partridge. Damien speaks of why he was inspired to exhibit at Houghton Hall. He said; “I visited Louise Bourgeois in New York before she died and she lived in an old run down house where even the light switches were falling off the wall. I wondered why she lived in a place like that and then it dawned on me, she was old too.” Maybe this says it all, that Damien is mellowing with age. But then he starts talking about the works’ titles which are based on the names of paint colours. One is called Cocaine and Hirst says; Yeah it’s a real colour. He adds, I collected thousands and thousands of paint names and randomly picked them. I asked him if he chose Farrow & Ball colours for the paintings on display at Houghton Hall but the joke is lost, and he answers, “depends on what you mean by ball”, I guess in reference to spots. 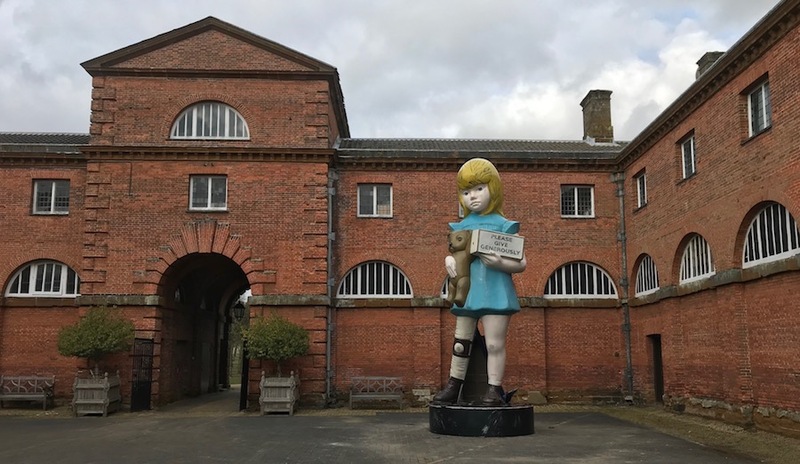 Hirst’s classic outdoor sculptures are on display both flanking the exterior of the house (Pegasis) or sticking out from the grounds like a sore thumb on the horizon (Virgin Mother). They work well with the limestone exterior of the house and lush manicured lawns. The landscape dwarfs the scale of the monolithic sculptures of medical models, but the red sculptures against the green grass create an extraordinary viewing experience. My all-time favourite Hirst sculpture is included in the exhibition. ‘Charity’ a sculpture modelled on one of the 1960s (uncomfortably named) ‘Spastic Society’ collection boxes, appears crowbarred open with the coins spilling out on the pavement. This is installed in a courtyard of outbuildings which intensifies the scale. My outing to Houghton Hall each year is somewhat of a treat, for this jaded culture writer. With Hirst’s work love it or loathe it you can’t ignore it. It is firmly cemented in the 1990s. Always a loud statement or soundbite. 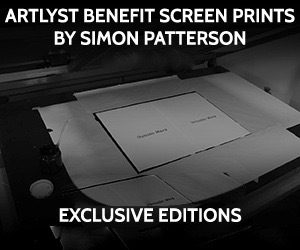 It is playful and often garishly irresistible. It is art for new money but does it work surrounded by old money? Yes, I can confirm it does.